Our children learn early to tell us when they have a tummy ache or come running to us with a scratched knee. But too often, they hold sad or negative feelings inside. In Canada, 15 percent of children and youth have a mental illness, according to the Mood Disorders Society of Canada. In many cases, their mental health worsens into a serious condition in later childhood or early adulthood. How can parents make it as natural for children to talk about emotional pain as it is for physical pain? Here are tips from the experts on how to promote positive mental health, help children feel comfortable about these topics and give kids the tools to express themselves. Advice from Carolee Cain, director of Healthy Child Development at the Child Development Institute in Toronto. Preschool children may get angry or easily frustrated. Because they may not be able to express themselves with words, some preschoolers may hit or push. Others may suffer separation anxiety. “Some children are unable to self-soothe. Some can go and sit quietly and others can’t,” says Carolee. 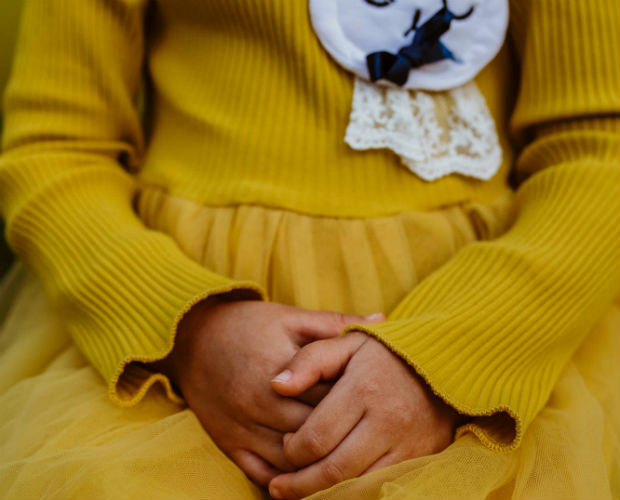 “A child may be highly anxious and can’t take any comfort from an adult and can’t be soothed with a hug.” Anxiety or a major life event, such as moving, starting school or the arrival of a new sibling, may cause a child to lose a skill she’s mastered. She may start using baby talk or regress with potty training. Compare notes with other caregivers, says Carolee. “Talk about how to help the child and set up consistent routines for those who are struggling. They need predictability, a lot of support and a lot of patience.” If you are still concerned, talk with your family doctor or pediatrician. Provide a lot of physical connection and play. Go out and be with other parents and children. “At this age, talk a lot about feelings,” Carolee says. “If they hit another child, point out that the other child is crying. Ask ‘How do you think he is feeling? How can you make him feel better?’ It has to be real for them to understand, not abstract.” Look at photos and books with real pictures that identify emotions. 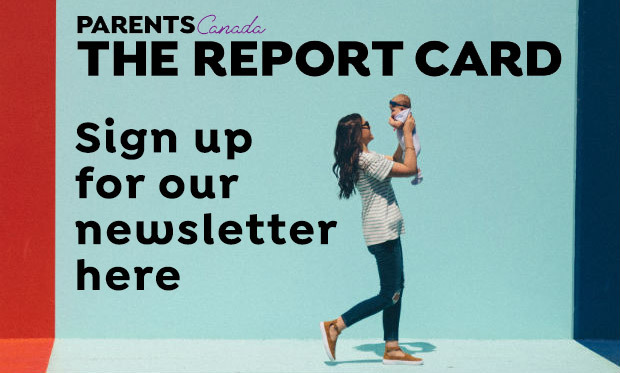 Advice from Dr. Shimi Kang, a psychiatrist in Vancouver and author of The Dolphin Way: A Parent’s Guide to Raising Healthy, Happy and Motivated Kids Without Turning Into a Tiger. School age children are going through significant hormonal changes in preparation for puberty. This affects mood, energy levels, sleep patterns and brain function. “Kids at this age are also starting to distinguish themselves as their own person and will start asserting their opinions,” says Dr. Kang. The most common mental health issues that can arise at this age include anxiety, depression and phobias. While irritability or changes in personality can be part of normal development, Dr. Kang says to note if changes are affecting functioning, such as school performance, relationships or sleep. Other warning signs include losing interest in favourite activities, a decrease in connection with family or a change in friendships. Children may also have physical complaints like headaches or stomach aches. Discuss concerns with your child’s teachers. Ask for help from a school counsellor or your family doctor. Dr. Kang recommends internet resources from the Canadian Mental Health Association or Kids Help Phone. Dr. Kang also prescribes unstructured play and cultivating a sense of connection through family dinners or a game night. Advice from Dr. Sandra Mendlowitz, a psychologist in the Department of Psychiatry at the Hospital for Sick Children in Toronto. As children transition into adolescence, it’s a time of significant hormonal changes. Adolescents can be cranky, want to sleep a lot and their moods can change on a dime, says Dr. Mendlowitz. Anxiety and depression are the most common mental health issues at this age. Dr. Mendlowitz says the hallmark of anxiety is avoidance. For example, you may think your child is trying to wriggle out of giving a school presentation, but he may legitimately be anxious about what might happen. A major sign of depression is withdrawal, including no desire to engage with family and friends or lack of motivation. Look for a significant shift in a child’s mood or behaviour. Encourage your child to take risks. For example, if they are anxious about doing a presentation, discuss how you can help them by listening to them practise. Get kids involved in sports, exercise, family outings, volunteering and hanging out with friends. Advice from Dr. Stan Kutcher, a professor of psychiatry at Dalhousie University in Halifax. “Kids this age are dealing with negative emotions that are the result of the slings and arrows every teenager goes through – breakups, when people aren’t kind to you, you didn’t make the basketball team. The normal rites of passage,” says Dr. Kutcher. Common mental health concerns for this age group are depression, anxiety, substance abuse and bipolar disorder. “Regular teen angst happens from an external event. This is usually normal. It is time to be concerned when symptoms persist for two to three weeks and are disrupting regular routines.” If a mental health disorder runs in your family, know the signs and symptoms. Have resources ready to discuss with your teen. Check out Dr. Kutcher’s online resources at teenmentalhealth.org. There’s advice for both parent and teen, including How Do I Parent My Teen? and How Do I Teen My Parent?